Tracking is the only way buyers and eBay can tell if a seller has shipped an item, but today reports are flooding in that tracking is broken sitewide. The consequences are especially dire since eBay is notifying sellers they are losing their Top Rated status because they aren't meeting their tracking requirements, even in cases where they are meeting them. "Seller Dashboard is reporting 100% of shipments have no tracking uploaded." "I am experiencing the same issue as my seller level would drop if I were evaluated today. I went from 99% of my packages uploaded on time w/tracking to 17% overnight. I just reported this to ebay." "Have a notice on both of my eBay stores that I will be dropping from Top Rated to Above Standard because I have went to a 10.93% defect rate on items not being scanned when shipped. shows on 40 of 366 items had tracking uploaded on time and validated. But when I click on get the full report it shows it is actually only 3 items that were not scanned. GLITCHES Never end." And sellers are reporting the problem on eBay, including on this discussion board thread. Meanwhile, eBay's System Announcement Board shows there are no issues on its site. Seller emailed me: "Fast'n'Free shipping icon has been removed from my listings" as a result of this bug! eBay the "tech company" my you know what! 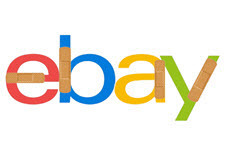 eBay is just BROKEN ... cant we all agree and move on? What a shocker!!!! Ebay is now 8% of my overall number, and hopefully we will be rid of these clowns by October---GOOD RIDDANCE! Fist on Monday they erase 65 of my listings photos, then today tracking is not working. All this along with the 100's of other bugs that are so normal I just gloss over them. Dear eBay. Forget any changes for a few months and just FIX THE SITE!!!! How embarrassing for Wenig and Cutler. Their site never works right despite their boastful claims eBay is the best technology company out there. This is a significant, wide-spread site issue, not some mere bug or glitch. Timing of this issue is not so good for eBay amid the massive headcount reductions, and multiple end-of-quarter sale events in a frantic attempt to boost sales. eBay needs a Brazillian "3G-Way" enima starting at the top with Wenig, Cutler, Fisher, Tarman, and Pittman. I guess one of the people they just fired was the head of Tracking. Enough is Enough! FIRE DEVIN WENIG NOW !!!!!!!!!!!!!!! "Your seller performance status is at risk in the US." I'd like to counter that their listing status is at risk worldwide. Wenig, your leadership status is at risk in the US. This is what happens when a company run by plundering executives stops hiring American tech companies, and instead takes the tech work to offshore foreign companies in India. The offshored projects always fail, and end up being more expensive and bad quality. The Ebay executives brag about lowering tech costs to stock holders, but it is a shell game. The companies in India, run by slave labor, always fail. Always. Artificial cost savings. A high school kid could take over Wenig's job, and first step is bring all tech contracts to American-based tech companies with Americans working for them. The best is already here. A sad sideline to all this is that as women and minorities were rising in American tech companies, people like Wenig pulled the rug out from under them. How can any one site have so many failures? It's almost like watching "Live with Yuri". Maybe the entire site is just some kind of parody or experiment. There's no way to even keep up to date REPORTING the failures, much less fixing them. But when they do fix something, it causes 6 new "glitches". They can't get anything right, really. Offshoring IT is a death sentence. Instead of a glitch, could this be a fiendish plot to raise all sellers' FVFs? Would be a very good possibility. It wouldn't be the first time they tampered with the platform, used it to take their customer's money, then claimed "So sorry, small malfunction." These ''glitches'' are wreaking havoc on sales because the measurements that are affected are baked into Cassini for surfacing results. Thank goodness I have a lot of available credit. I have been using it more and more over the last two months as the extreme swings in activity become wider. There is no excuse for such recklessness eBay. It used to be that there was speculation and hints that Ebay had offshored its tech. Then Ebay executives confirmed it. The tech department at Ebay in America is very small, Ebay insiders say. Recent conversations have revealed they like to pass the buck and refuse to solve what problems they can. Of course, when the meltdowns are in India, what can you do? While ebafia burns, Nero Wenig jets off to the Hamptons for a very long weekend. This is lawsuit material. IMO, ebafia would lose so quickly in arbitration that it would make Cupcake's head spin. My tracking uploaded and shipped within stated handling time is always 100% until today. Today it erroneously shows as less than 15%. The legal consequences and associated time and money lost could be staggering for ebafia! Ina's article should be emailed to every major Wall Street firm. We're aware of an issue with how tracking upload information is displayed on the Seller Dashboard. We'll update this post when the issue is resolved. When there are changes to the systems, there is usually something called UAT- acceptance testing by the business, Wenig's department, before it is implemented. As bad as the offshore work is, the fact is that the BUSINESS side that Wenig runs should be catching this. And his corrupt crony, FISHER. Wenig is failing in a very big way, directly. Someone right under him work under his supervision accepted this as ok and let it go with their approval. Probably his spoiled California brats leaving early to go on vacation. He's probably long in the Hamptons or was there all week, letting Ebay go down further and further. Fisher probably is too. Where is the Board of Directors? Wenig is directly responsible for this. He'll lie and try to blame others, but this is his fault like so much is. All he does is plunder more. He takes advantage of the fact that the Board of Directors and stockholders are tech-ignorant and let him get by on lies. As bad as the offshore IT work might be, it is Wenig's team that accept this as ok and let it go out. They are the culprits with this.